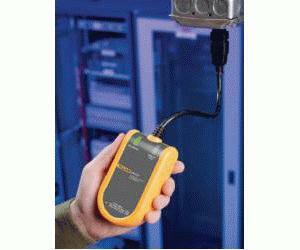 The Fluke VR1710 Power Quality Recorder, is a single-phase, plug-in voltage quality recorder that offers an extremely easy-to-use solution for detecting and recording power quality problems, allowing for immediate action and less downtime. The VR1710 single phase recorder satisfies the needs of maintenance and facilities management personnel in industrial, utilities, and large service organizations where reliable power quality is essential to the operation of the business. Power quality parameters including RMS average, transients, flicker, and harmonics up to the 32nd are recorded using a user-selected average period from 3 seconds to 10 minutes.